Joey, from Thermal Outfitter, says the Imitator is a "Game Changer"! "The ducks just can't stand it... It's the natural feeding action... the Imitator is a game changer." "My dog has to keep checking it out on retrieve... Not sure he has figured out why it keeps diving... Sure fooled him"
"So far two hunts with the Imitator and we have killed 30 on the first one and 18 on the second hunt. Love the product"
"Wanted to let you know today was opening day and the Imitator worked great. Very good motion and lifelike. It's going to be key in my spread all year." "All I have to do is hit a little feed call and they land right on top of it." "I don’t even have to use a duck call anymore. Maybe a little feed call to get their attention." "Beats all I’ve ever seen. If you don’t have one or more of these, I feel sorry for you." Ted shares some of the best Imitator customer testimonials. "Most natural motion I’ve ever seen. Simple and effective. Love it." 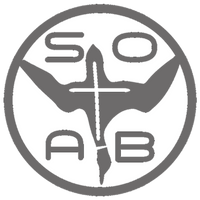 "Finally got to use my SOAB Imitator. I was impressed with the amount of ripples from only one Rig. Can't wait to purchase two or more setups." "Thanks for coming up with this product. I can’t go hunting without it now." "Man, you’re marketing this wrong. If you’ll market it, you’ll be an overnight millionaire." "The only drawback is it takes about 18” minimum depth to use, however, I just take a couple of minutes to dig a hole (usually with my foot) to set the unit in. Very worth the time to do this. Great product."